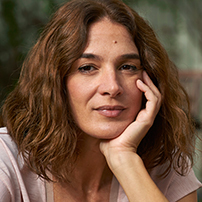 Maria Epaminonda is the Executive Director of the Cyprus Family Planning Association, the leading nongovernmental organization in Cyprus, on Sexual Reproductive Health and Rights. Her background is marketing and has worked as an Account Executive, at an Advertising Agency. Since 2004, Ms Epaminonda is an activist and an active member of the civil society. As the Director of the Association, she has extensive experience in the coordination and management of projects, in ensuring the relationships and strategic alliances with various governmental, nongovernmental and other stakeholders, in providing guidance and inspiration to volunteers and in leading advocacy strategies and activities. She has special interest on comprehensive sexuality education, violence against women and youth involvement and participation. She represents the Association in several networks and platforms locally and in Europe such as the International Planned Parenthood Federation, the National Committee on HIV/AIDS, the Cyprus Advertising Regulation Organization and others. She is the president of the Board of the Cyprus Women’s Lobby. She envisions a world where all women and girls follow their own natural rhythm, love themselves truly, and they never stop dreaming.